We’re all about out of the box SMS marketing campaign ideas. We encourage hotels, resorts, and casinos nationwide to increase guest participation and spending by using our SMS marketing service. Get started with these four campaign ideas. Fire out a text to win contest a few times a day, or even once every hour. Think of it this way. 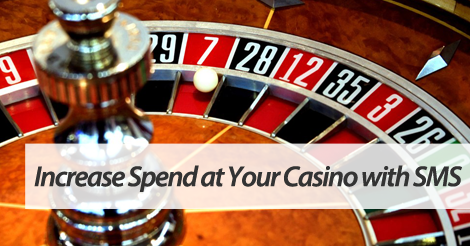 Chances are, your casino guests will clamor at any chance to walk away a winner. Why not give them that chance with an easy to enter SMS sweepstakes? Most casinos and resorts have several different on location, dine in establishments. Why not distinguish each restaurant with its own separate textword, or at the bare minimum, promotion? Most casinos and resorts have special gift shops packed to the brim with high quality items and souvenirs. Promote your overstocked inventory or daily specials with SMS. We have an easy to use drip marketing feature that allows you to reward your subscribers for their loyalty. These are automated campaigns that fire out after a certain amount of time, and can be customized to fit your needs. Partner up with top SMS marketing provider to resorts and casinos, SlickText.com. Give us a call today at 1.800.688.6290 to learn more, or head over to the pricing page and sign up for a free plan.